Generally, a Server is a high-end network computer managing connected devices (“clients”) and their access to multiple applications as a central resource, whereas a Database is a repository that supports an application’s back-end data processing. Database Server is a computer hosting one or several databases and manages the accessibility between client and data over a network. Web Server hosting web applications and managing accessibility, e.g. Microsoft IIS (Internet Information Server) or Apache. Mail Server that manages the email exchange for a business and is responsible for sending/receiving emails promptly. FTP Server stores files and facilitates easier file transfer (uploads and downloads) between connected devices over a local area network or remotely via an internet connection. A single server is also capable of managing several functions at once, as long as the hardware specifications meet the demands of the network. For large enterprise companies and data centers, servers are rack-mounted, and designed for a specific server function. Rack-mounted server are thin, using less space and advanced capabilities to hot-swop hard drives without disrupting the network. Databases were initially “flat files” displaying simple columns and rows to store data, but today, databases are relational, allowing complex queries across multiple database tables and database sets. 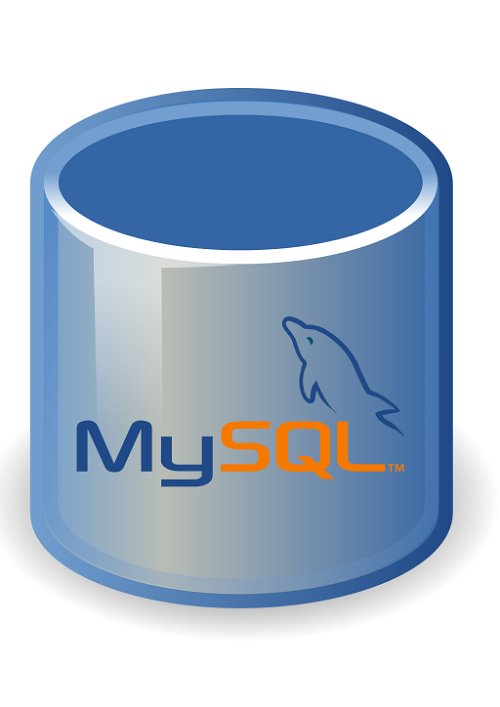 Relational databases provide users with greater use and flexibility to manage the data in the repository, using database programs such as Microsoft SQL and MySQL. A database comprises three elements to form a database management system (DMBS). The physical database is the repository, the database engine is the software allowing access to the data, and the database schema is the specified structure of the data. Databases can store most file types, including numeric, text, and multimedia and has a data structure to organize the stored information. For example, in a company, an employee database table would have the relevant columns for personal details (Name, Surname, Address, etc) and a profile picture could also be stored for each employee, all residing the database. Virtualization is fast-becoming a popular option for larger organizations, where databases and servers can operate as virtual instances, in virtual environments. Resource intensive applications and tasks perform better with virtualization as multiple simulated environments are created. A Server can be virtualized providing multiple instances of the Server and a virtual Database can be be configured on a physical server or virtual server. Using entry-level databases and servers require a degree of computer literacy, the trend in graphical interfaces, specifically web-based, is making it more user-friendly to manage servers and databases without having to interfere with any hardware. In organizations, databases are usually managed by database administrators, database developers, and other database specialists, and servers are managed by network administrators and other network specialists. Servers and Databases are able to manage concurrent processing by multiple users, and have security features managing user rights and access. Both have backup, recovery, and redundancy capabilities. Based on software licensed options, upgrading a database version or server operating software is fairly simple with the latest systems providing user-friendly wizards that guide users through a version upgrade of the software. Related information is collected, stored, and maintained in a Database and is primarily the data repository. A Server is a hardware unit managing multiple or specific functions for a network and connected clients. Databases are used for storing data and organizations that transact and store large amounts of data, need powerful database software to manage the data, like Oracle or MS SQL. Databases provide more control over data and allow users to transform and enrich the data for all aspects of business reporting purposes and manage back-end transacting. Servers connected to a high-volume network, managing multiple and simultaneous transactions need to have the appropriate technical make-up to support the network efficiently. Databases are implemented according to the current and expected volume of data. For individuals and home office users, desktop databases, like Microsoft Access, are suitable, but for larger, enterprise organizations, database systems are installed on servers or built on dedicated database servers. An Operational Database allows users to transform the data in real-time, such as modify, delete, add, etc. NoSQL and Object-oriented databases follow a different approach to the table, row, column of the RDBMS, and stores data in chunks and simplifies the data manipulation and search functionalities. A Cloud Database is hosted typically in a remote data center, and access to the database is provided through a service with the cloud host. Big Data are databases that manage massive, complex data sets that goes beyond the capabilities of standard database software applications. A Database Server is a computer hosting one or several databases and manages the accessibility between client and data over a network. A Web Server, like Microsoft IIS (Internet Information Server) or Apache, hosts web applications and manages accessibility and interaction with the web content. A Mail Server manages the email exchange for a business and is responsible for sending/receiving emails promptly. A File Server is dedicated to storing all users’ file and network data files. A Print Server co-ordinates all connected printers, and manages user printing. A Domain Server manages the authentication and accessibility of connected devices on the network, physically and remotely. An FTP (File Transfer Protocol) Server stores files and facilitates easier file transfer (uploads and downloads) between connected devices which are on a local area network or remotely via an internet connection. A single server is also capable of managing several functions at once, as long as the hardware specifications are suited to the demands of the network. Based on licensed options, increasing the size of a database is fairly simple if using a DBMS like MS SQL, where the size of the log and data files can be increased, with limits from 2TB. 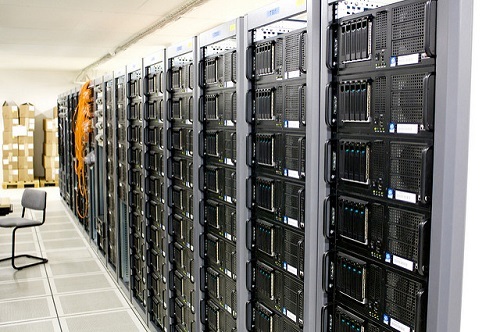 To extend a server’s manufactured technical capability, an additional investment in hardware and memory would be required. Migration can be a complex task that requires careful planning when moving an entire server configuration or database system to a new platform, such as a new hardware unit to replace an old server, or moving a database system to the cloud. For server migration, it is practical to recreate the old (required parts) of the server configuration on a new hardware unit, and requires thorough testing and generally some tweaking. Database migrations to a new software platform have many challenges with new and different features, compatible data formats, and schemas, etc. A lock down on changes to the database would be required before migration to avoid having different versions of the same database, and once the new database has been implemented, it is then released into the production environment. In an organization, database administrators manage the security and control access depending on the employees’ roles and tasks. Where some employees only need to view data, full edit rights can be restricted to Read-Only and where managers need to add, modify, and delete data, full rights can be assigned. A database provides an effective way to store, managed, and retrieve data. If all the information in an organization was contained in physical files, stored in filing cabinets, it would be a manual and exhausting task to retrieve information. There is increased reliability and security with having backups and controlled access to any organization’s data. A server is a hardware unit – a computer with many capabilities and applications that provide effective and fast performance to connected devices over a local area network or through the internet. There are many different servers with different capabilities. If used as a dedicated resource, the configurations can be applied to build any type of server such as a File, Print, or Web Server. For example, a web server is specifically equipped and configured for HTTP (Hypertext Transfer Protocol), domain names, and web page service to client requests. So a server can be configured to serve a dedicated purpose, and/or be built to handle many functions by having sophisticated hardware and software to support large, connected networks. Gillian Douglas. "Difference between a Server and Database." DifferenceBetween.net. February 20, 2018 < http://www.differencebetween.net/technology/difference-between-a-server-and-database/ >. Nisan, Noam and Shimon Schocken. The Elements of Computing Systems: Building a Modern Computer from First Principles. 31 Mar.2005. Print. Hennessy, John L. Computer Architecture: A Quantitative Approach. 30 Sep.2011. Print. Professor, Abraham Silberschatz, et al. Database System Concepts. 27 Jan. 2010. Print.